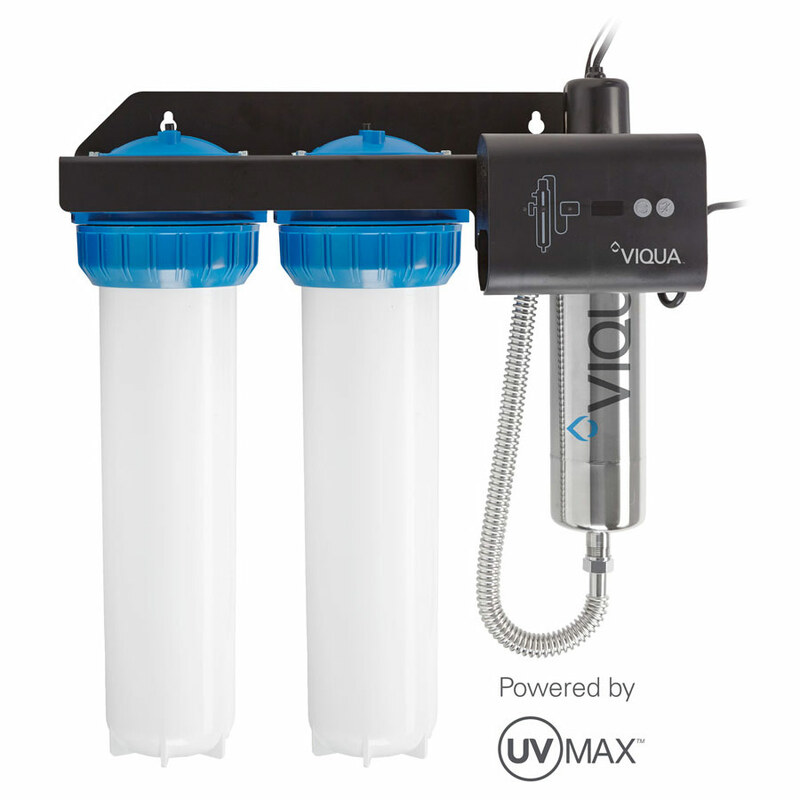 Save Another $129.50 Promo Code: "uvsale"
The UV Max IHS22-D4 system uses the same proven UV technology and expertise that we build into the systems that purify the leading brands of bottled water and the drinking water of large cities like New York, Seattle, and Washington. Enjoy that same confidence in the water you and your family drink with UV Max IHS22-D4. The UV Max IHS22-D4 comes equipped with a UV and filters to provide an easy-to-choose, install and maintain solution for all your drinking water needs. 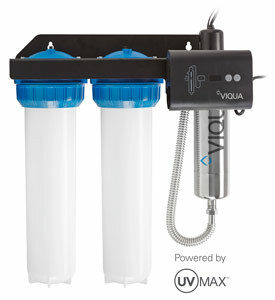 This system is UL listed and is equipped with filters to remove sediment, improve taste and remove odors from the water. 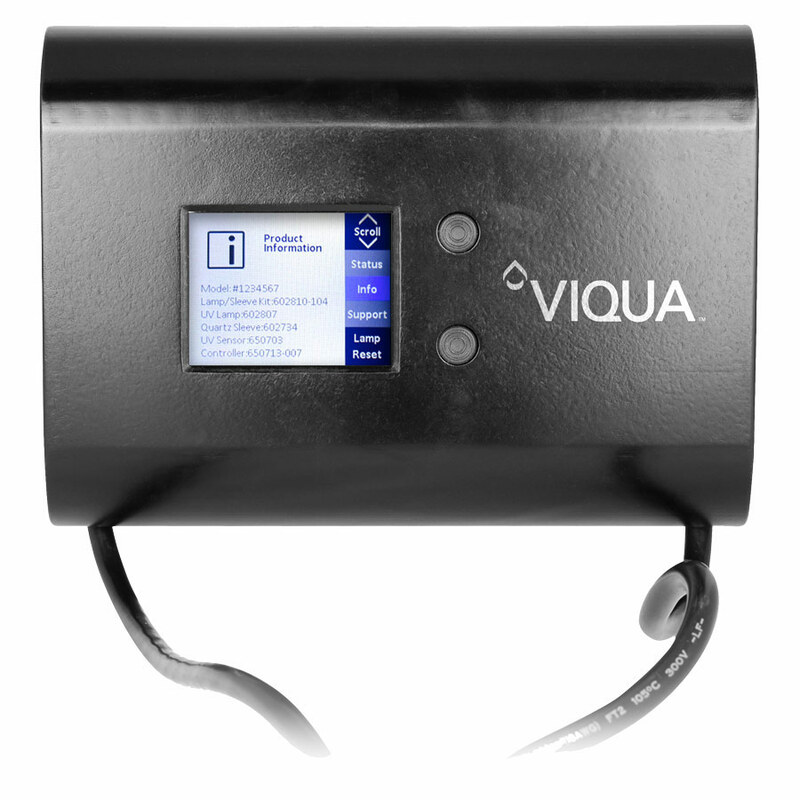 Supported by VIQUA's Reference Card to quickly answer common questions and a lamp counter to remind you when to change the lamp. 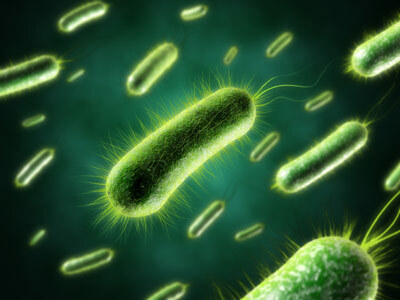 UV Max IHS22-D4 systems undergo exhaustive testing and evaluation to ensure they destroy 99.99 percent of harmful microorganisms, including E. coli, Cryptosporidium, and Giardia. Purification with the UV Max IHS22-D4 is a safe, natural process that adds no chemicals and does not affect the taste or odor of your water. Using a sophisticated 3-D modeling process, we've designed a compact UV chamber that delivers maximum purification, and can fit just about anywhere in your home. The helpful lamp timer starts at 365 and counts down the days to annual lamp replacement. An alarm will also sound at this one year mark. Once the lamp is replaced, a press of the lamp timer reset button will restart the countdown. Indicator lights on the power supply show the status of each system component. So, at a glance, you can confirm that your water is being purified properly. Warning lights appear when system maintenance is required. Replacing the UV lamp is simple and can be completed in minutes - without tools. A safety cap on the chamber prevents children from accessing the lamp or electrical components. The special lamp plug ensures that no one can power the UV lamp if it's not in the UV chamber. Conveniently located behind the power supply, the reference card outlines the most important system functions and maintenance for your quick, on-the-spot questions.